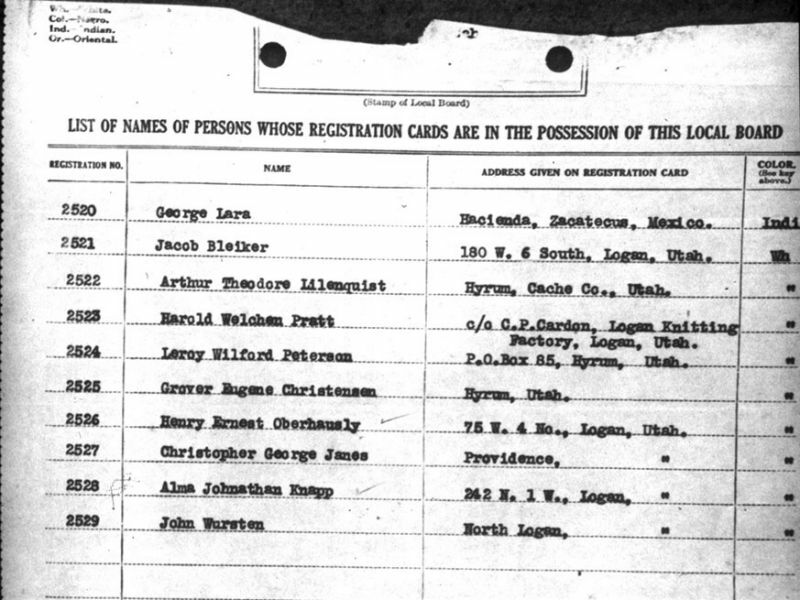 A list of names of men registered for the draft during World War 1. This series contains copies of basic military draft board registration data for Utah counties during the first World War. These records were photocopied from the holdings of local draft boards, arranged by county, and microfilmed by the Military Records Section of the State Archives.